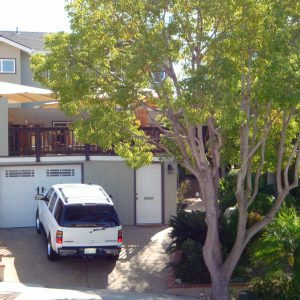 As soon as she realized she had the gift of awesome vistas surrounding her Escondido home and an abundance of fresh breezes coming off the coast, this Southern California resident decided that a deck would allow her to maximize her perfect location. 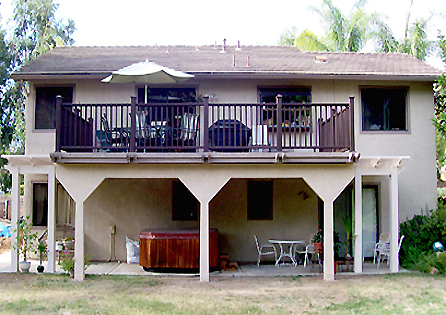 However, as years passed by, the client grew tired of her aging deck. 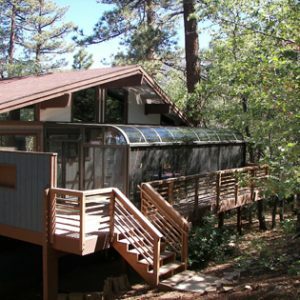 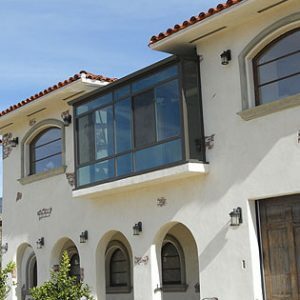 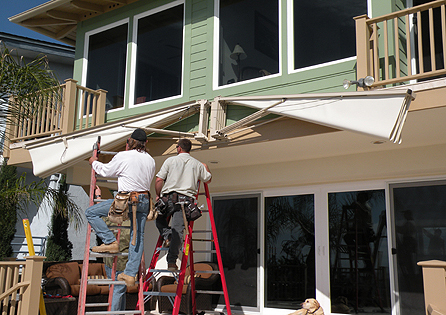 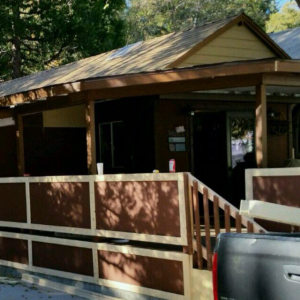 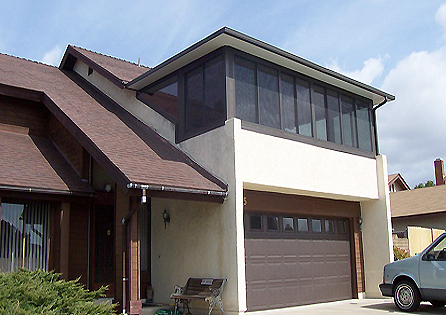 This Escondido homeowner called on Sun Boss to design something that is stylish and as maintenance-free as possible. 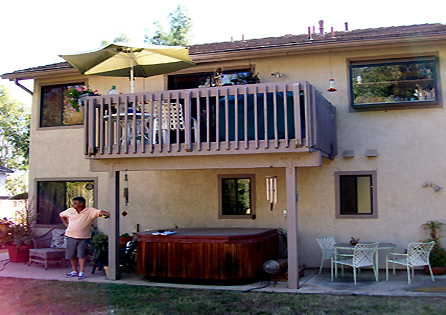 Our experts immediately went to work on a new deck construction that combined tearing the old deck and concrete slab out and re-pouring a new foundation with appropriate footings that would expand the deck and maximize the space. 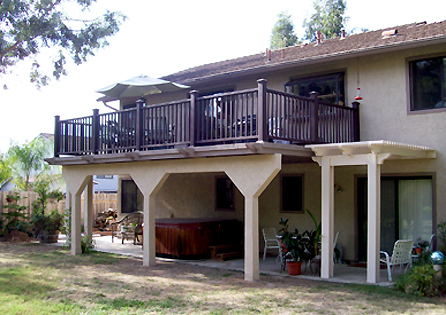 The new deck now has the advantage of fiberon decking and railing systems that are equipped with an extremely low maintenance feature. 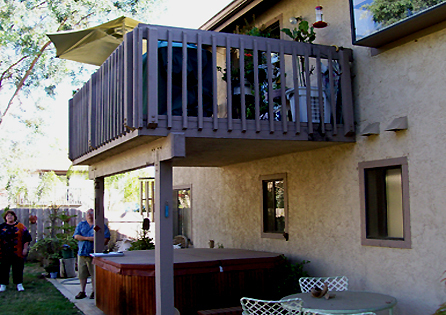 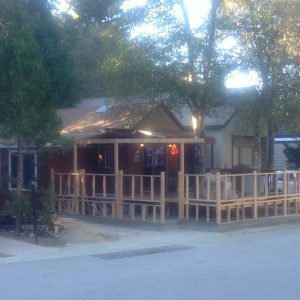 The project also included a Sun Boss ‘ImperialWood,” an all aluminum high wind lattice patio cover at one side of the new deck. 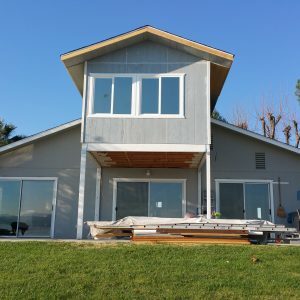 Thankful and excited, the Southern California client had nothing but praise for the Sun Boss project done right on target schedule and budget.